"It took me six months to find my last job, in 2015, and the process of applying for a job has changed significantly. During those six months I did not get a single response for an interview, but when I started working with Opportunity Junction's career services, things improved almost immediately." 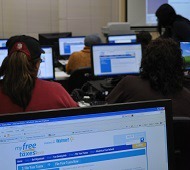 Opportunity Junction's Tax Assistance program continues through Saturday, April 13. Experienced trainers will lead you through a simple online tool that is free to use for all households this year! Sign up for a session on our website. After Yvette was laid off in 2015, it took her six months to find a job, and then it was a series of temporary part-time jobs. Though this provided her with some financial relief, those jobs ended this past December. She was back to searching for a full-time job. While Yvette had high hopes for the New Year, this didn't stop her from feeling anxious and worried about getting another job soon. How would she pay her bills? If she couldn't even get an interview, would anyone ever want to hire her? As a "seasoned worker" in her 50s, how could she show potential employers that her experience was an advantage? Would another long gap in employment limit her opportunities? Yvette scheduled a financial counseling appointment at the SparkPoint office in Bay Point. During the appointment, Yvette asked if they could help her find a job. She was referred to Opportunity Junction's Career Counseling and Placement Assistance team at SparkPoint. "It took me six months to find my last job, and the process of applying for a job has changed significantly," Yvette recalls. "During those six months I did not get a single response for an interview but when I started working with Opportunity Junction's career services, things improved almost immediately." 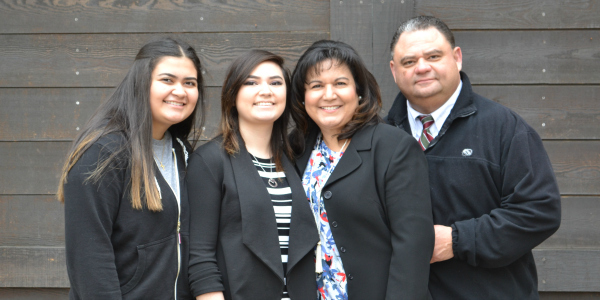 After her initial meeting with career counselor Leticia Wiesner, Yvette began her journey of learning how the work world had changed in the past ten years. The old way of applying for jobs just didn't work. Yvette needed to learn how to use the new technology and processes available to stand out among other job applicants and land her dream job. With enthusiasm and tenacity, Yvette progressed quickly. She attended weekly job seekers classes and received intensive individualized career counseling. She asked pertinent questions and followed through on all assignments. Yvette discussed her goals and dreams with Leticia, and Leticia assessed her skills and personality. Yvette had a LinkedIn account but didn't feel comfortable using it. After Leticia explained how powerful a tool LinkedIn was in today's job market, Yvette decided to update her LinkedIn account. In the process she discovered that her setting for recruiters to view her profile was set to "off"! She corrected the settings and added important key words, as Leticia had recommended. She soon began receiving invitations to interview. Getting responses to her resume, coupled with utilizing what she had learned in class, greatly improved Yvette's confidence and lessened her anxiety. "Going back into the job market as a seasoned employee, I was determined to find a job that matched my skills, passion, and values," says Yvette. "I started this journey in mid-January and it took me all of six weeks instead of six months to find my dream job." "I was contacted by a recruiter for Chevron for a potential job that matched my experience and skills perfectly. I went for a job interview and they quickly extended me a full-time job offer! The recruiter told me she found me through my LinkedIn account; I was amazed at how LinkedIn had become part of my success story. "It has been a privilege and an honor to be a client of Opportunity Junction. Leticia never failed to keep checking in on my progress and I really appreciated her support in coaching me. Their support plus the resources they made available to me gave me the confidence I needed to get back in the game and not be a runner up but a winner!" It's been 19 years since Opportunity Junction opened our doors to help the local community and we couldn't have done it without your help. 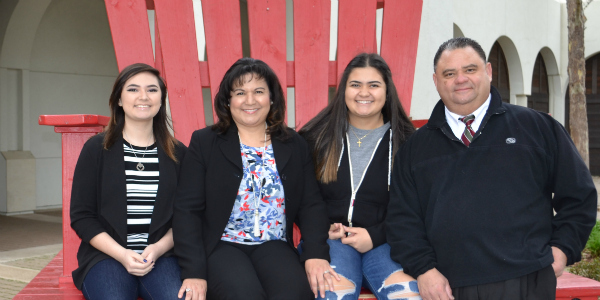 The lives of low-income families across East Contra Costa County have been transformed thanks to the generosity of our many donors, sponsors, employers, and volunteers. The 2019 Imagine Gala honors the hard work and giving spirit of the Opportunity Junction community. Join us on April 6th at the Diablo Country Club for our annual fundraising gala that supports life-changing employment programs in East Contra Costa. Delicious hors d'oeuvres, wine, and a silent auction start the night followed by a gourmet dinner, an alumni success story, live auction, and dancing. Please join our platinum sponsor Seeno Homes, media sponsor Diablo Magazine, gold sponsors Five Point, J.Stokes Agency, Kaiser Family Winery, and U.S. Bank, along with many others in breaking the cycle of poverty for our Contra Costa neighbors. RSVP online at https://www.opportunityjunction.org/gala. Tickets are $175 each. Cocktail attire, no denim please. Call Whitney at (925) 776-1133 for more information. See you there! If you follow us on Facebook, you've probably seen photos like this one: a happy intern ringing the bell to announce her new job. It's a moment of accomplishment for our participant and for Opportunity Junction. And it heralds a payday for both of us, too! 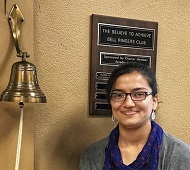 Members of the Bell Ringers Club pledge to make a set donation for each placement we make, subject to any budget they choose to set. Every quarter, we tally up the placements and the donations. It's a way to support our programs while challenging us to continue to improve recruitment, training, counseling, and placement. It's an unusual arrangement, one designed by Aaron Silva of Paladin fs. Aaron was a founding member of the Opportunity Junction board of directors and has continued to support our work as a client of our Staffing Services business and as the charter member of the Bell Ringers Club. Aaron recruited the Alliance of Chief Executives and an anonymous donor to join, too. 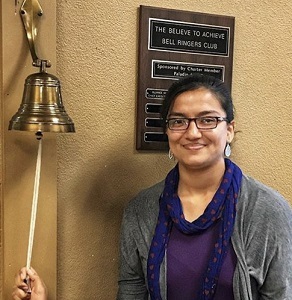 Teri House, a Pittsburg resident, heard about the Bell Ringers Club and wanted to focus her philanthropy on her home town. House Consulting has pledged an escalating ladder of donations for every Pittsburg resident we place over our annual target. "It's a GREAT incentive for donors," she writes, "and I always love a challenge and challenging others!" Did you know that Opportunity Junction provides tax preparation assistance? Our Volunteer Income Tax Assistance (VITA)-certified tax staff will lead you through a simple online tool called TaxSlayer and answer questions you may have about your tax situation. Even better, submitting your return online using this tool is free regardless of your income level! Our tax sessions are held Fridays at 6:00 PM and Saturdays at 10:00 AM and run every weekend through April 13th. For a complete list of session dates and times and to sign up for a session, please check our website. 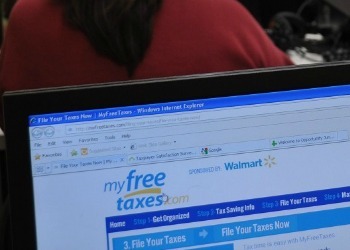 The website also includes a list of the items you'll need to bring with you to be ready to complete your taxes. BAC Community Bank: BAC Community Bank approved a grant to support the Job Training and Placement Program. 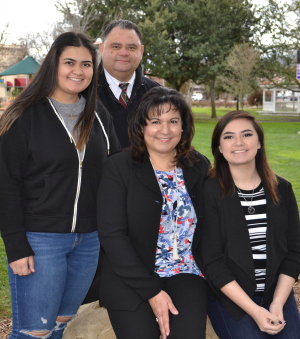 The family-owned bank first began business in Brentwood over 50 years ago and remains focused on providing high quality local community banking to the families and businesses it serves throughout eastern Contra Costa, San Joaquin, and Stanislaus counties. Dean & Margaret Lesher Foundation: The Dean & Margaret Lesher Foundation has a clear and simple mission — to enhance the quality of life in Contra Costa through charitable giving in support of education, the arts, and children and families. The foundation recently awarded Opportunity Junction a significant three-year grant for general support of our programs serving motivated low-income job seekers. Pacific Service Credit Union: Pacific Service Credit Union renewed their support by awarding a grant to support the Job Training and Placement Program, providing participants with financial resources to meet their basic needs, such as food, transportation, and work attire. Pacific Service Credit Union takes pride in being a good corporate citizen and an active part of the communities they serve. Travis Credit Union: Travis Credit Union renewed its support of the Do-It-Yourself Tax Assistance program, which started helping residents submit their tax returns in January. The credit union states that it, "helps shape communities by making a difference in the lives of individuals and their families because we are from these communities ourselves."